Everyone loves a good teen band, especially Disney. 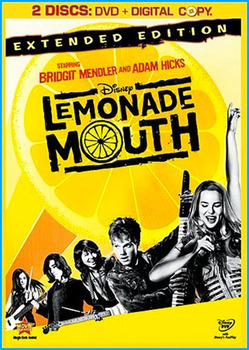 The new extended edition of Lemonade Mouth is out on DVD, and we’ve got the review of this music-and-dance-filled flick for you right here on Kidzworld! The story may not be new, but the music in this movie is pretty amazing! It’s totally toe-tapping … and we bet you’ll have some of these songs stuck in your head for days after you watch the film! Plus, the extended edition adds a longer-than-ever music scene and Rock-Along feature, which lets you rock with the band to all of your fave songs! Who's Your Fave Band? Vote! Hoobastank is my new fave. I'm Linkin Park's biggest fan!